Established in the year 2007, we, “Classic Fibrotech & Composites”, are one of the prominent organization engaged in manufacturing a superlative range of FRP Security Cabin, FRP Toilet, FRP Bath Tubs, FRP Tanks and more. Our elaborate product line is widely appreciated for its enormous load-bearing capacity and the ability to withstand rough weather conditions. We are supported by a dexterous team of the workforce who work in close coordination with each other to accomplish the goals of the organization. Our quality inspectors ensure that our range of products is manufactured in compliance with international standards of quality. Furthermore, these products are tested on different parameters to ensure their premium quality and zero defects. Moreover, these products are stored in a systematic manner in our capacious warehousing unit that enables us to deliver the consignments at client's destination within a specified time frame. For the convenience of our clients, we offer customized solutions. Our sound financial position, honest business policies, and vast product line have enabled us a loyal customer base. Under the able guidance of our mentor 'Mr. K. M. Roy', we have managed to explore new horizons. Owing to his wise management skills, foresightedness and a constant urge to satisfy clients, we have managed to win the trust of our clients. Customer satisfaction has been our prime motto ever since the commencement of our organization. To extract maximum client satisfaction, we manufacture our range of products in compliance with the industry standards & norms. Furthermore, we offer customized solutions to cater to the diverse needs of a mass clientele. Apart from this, we subject our range of products to stringent tests so as to deliver defect free products to the clients. We lay strong emphasis on delivering our consignments well before the determined time frame. Our ethical business policies, strong financial position and transparent dealings have facilitated amiable and long lasting relations with our clients. 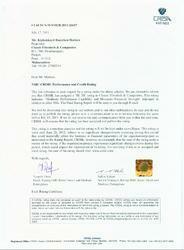 Our Performance and Credit Certificate. 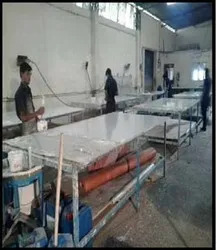 "We mould your Idea in FRP"
Our team is one of our most significant assets as it empowers us to manufacture and supply a high-quality range of products. This team is a group of skilled, dexterous and self-motivated professionals, which leaves no stone unturned to offer an immaculate range of products to the clients. Furthermore, they make optimum utilization of their skills along combined with our latest machinery to offer products in bulk capacity. 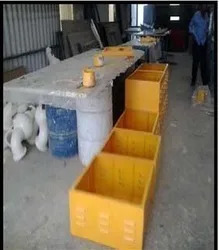 All these professionals are abreast with the advanced material handling and production techniques. It facilitates them to accomplish their tasks with absolute perfection. 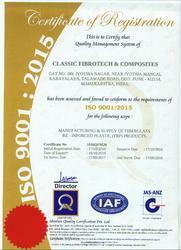 Owing to their skillful endeavors and commitment, we have been able to achieve our professional goals and objectives. The exceptional quality of our products and fair business policies have helped us gain enormous goodwill in the market. 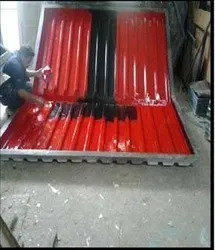 Furthermore, our comprehensive range of products is priced competitively and customized according to customer requirements, which makes us the prime choice of our valued clients. Apart from this, we are backed by an integrated scientific research and sound production unit, due to which we are continuously adding value to our reputation and credibility.